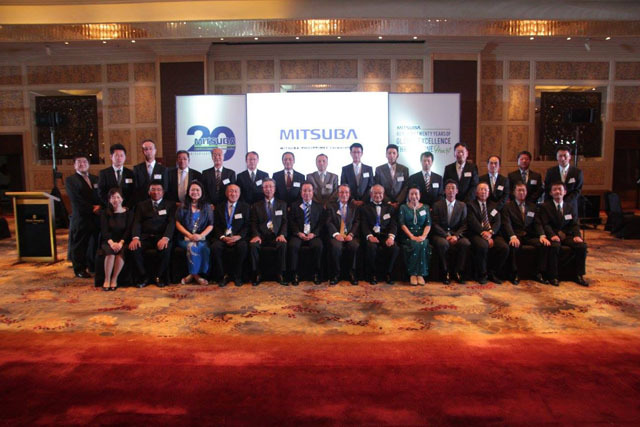 Providing customers with automotive component parts, Mitsuba Philippines Corporation celebrated their 20th company anniversary last 11 October 2016 at the Rizal Ballroom of Makati Shangri-La. 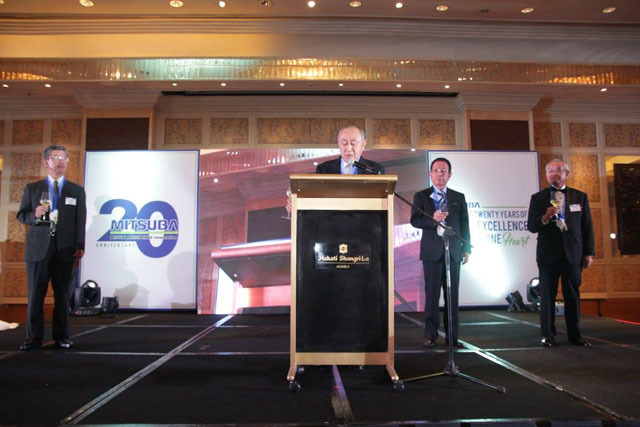 Hosted by actress and events host, Ms. Issa Litton, the momentous affair was graced with distinguished guests—Governor Jesus Remulla, Governor of Cavite, Mr. Noboru Hino, Chairman of Mitsuba Corporation, Mr. Takashi Nara, Managing Director of Mitsuba Corporation, and former president of Mitsuba Philippines Corporation, Mr. Minami Magarisawa—who joined in honoring the achievements and success of MPC. 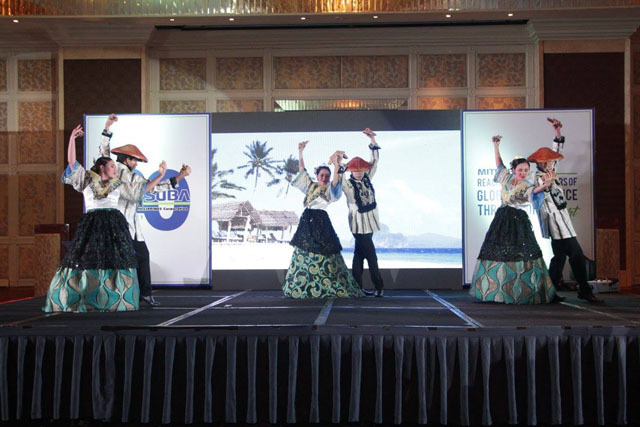 To commence the program, the Folklorico Filipino Dance Company gave the foreign guests a taste of the Philippine culture. 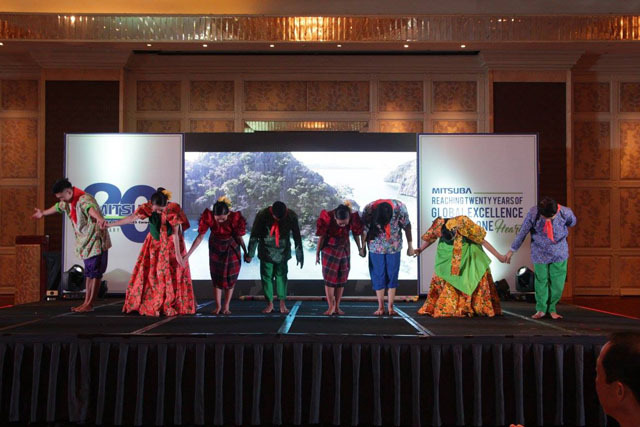 Garbed in eye-catching and intricately-detailed traditional costumes, the dancers wowed the crowd with a cultural show featuring traditional dances such as tinikling, pandango sa ilaw, etc. 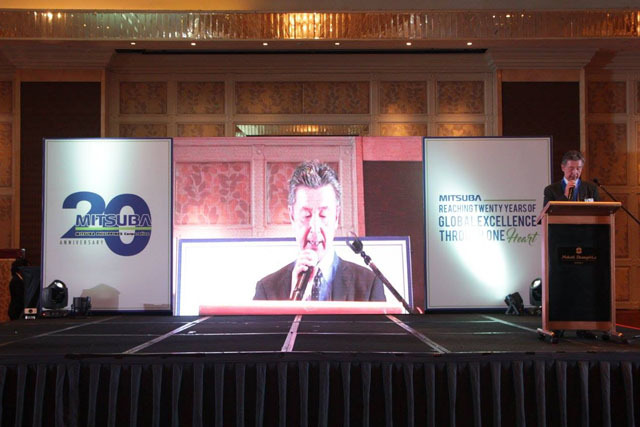 As part of solemnizing the event, Mr. Hideaki Komiya, the current president of Mitsuba Philippines Corporation, officially welcomed with the guests with the opening remarks to be followed by Mr. Noboru Hino who delivered an executive speech. Subsequently, Mr. Takahiro Ui of Philippine Toei Chemical Corporation and the chairman of Mitsuba Supplier Association in Japan relayed his congratulatory message for the company. 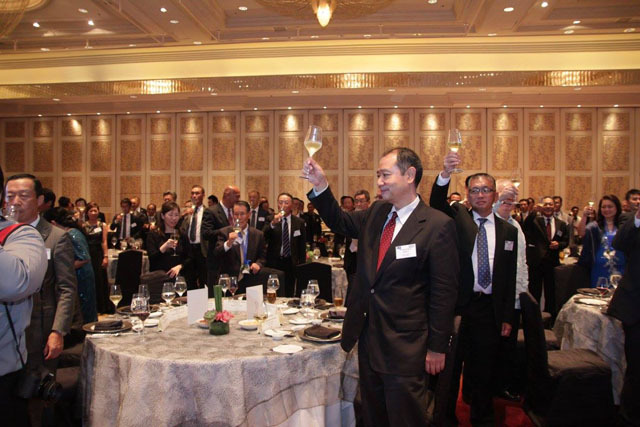 To cap off the affair, joined by Mr. Hideaki Komiya, Mr. Nobuo Eguchi, Director and Senior Advisor of Mitsuba Philippines Corporation, and Mr. Minami Magarisawa, Mr. Takashi Nara led the symbolic toast as a way of looking forward to continued success and global growth in the future—fitting for the anniversary’s slogan, MPC: Reaching 20 years of global excellence through one heart.